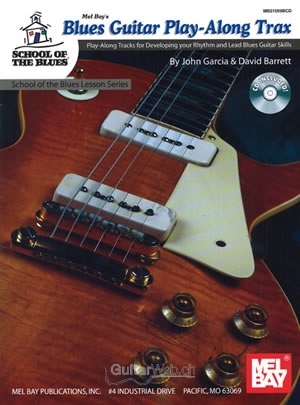 Blues Guitar Play-Along Trax, within the School of the Blues Lesson Series, is an exciting play-along that contains the most common grooves used in blues bands today. Notated examples are also provided to give you an idea of how you can approach accompanying a vocalist or instrumentalist. Along with the 12 jam tracks, the book is accompanied by a CD recording of all examples (played by author John Garcia) along with the background music.